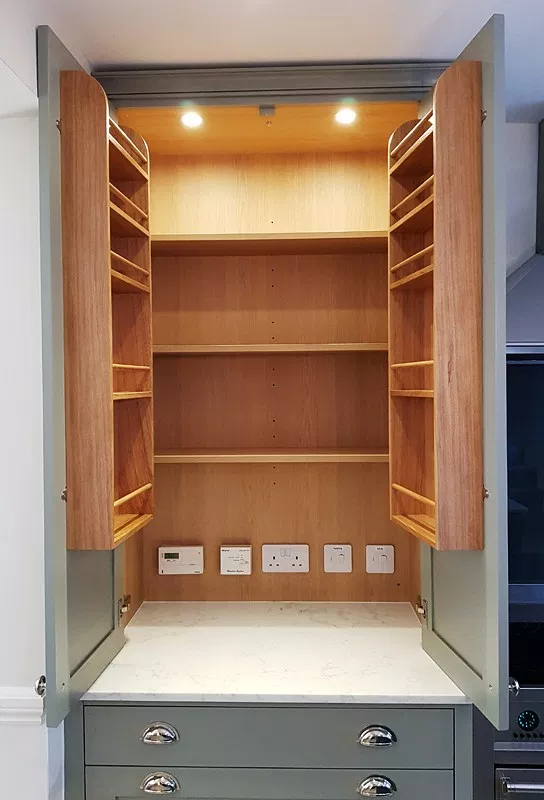 As we start 2019 there’s no better time to plan your dream kitchen ready for Spring. 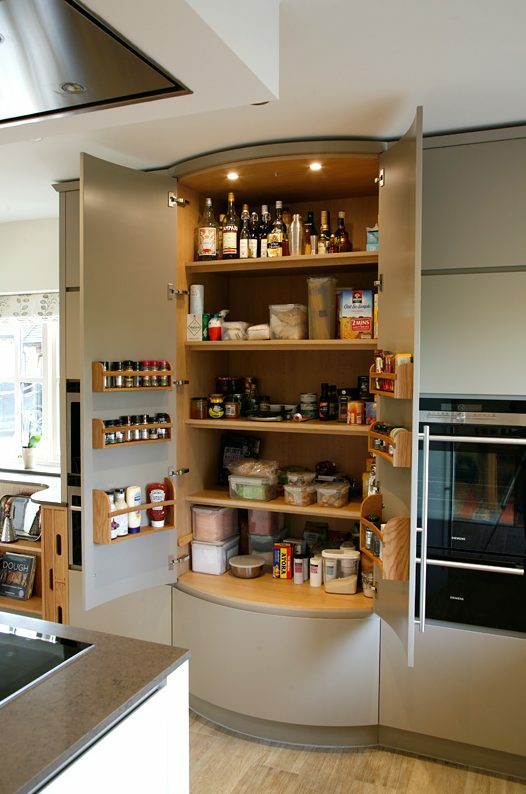 Whether a contemporary or classic kitchen renovation has been on the horizon for some time, or a new tailor made kitchen with the latest design features is what you really need, Mark Williamson Kitchens can help you. 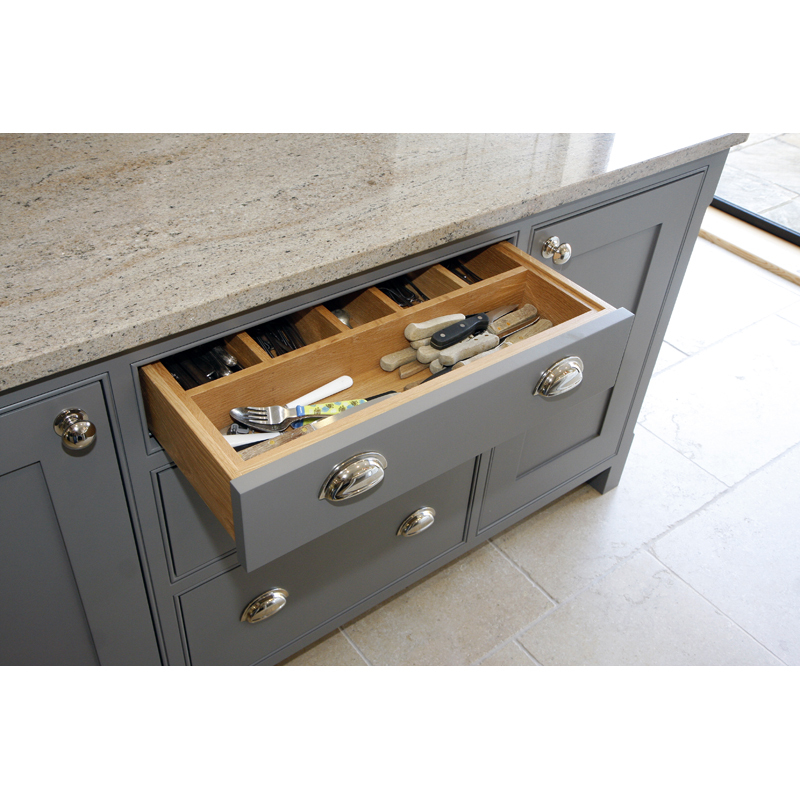 With over 17 years experience, we are well established throughout Buckinghamshire and known for the quality of our fine kitchens which are designed, hand made and installed by us. 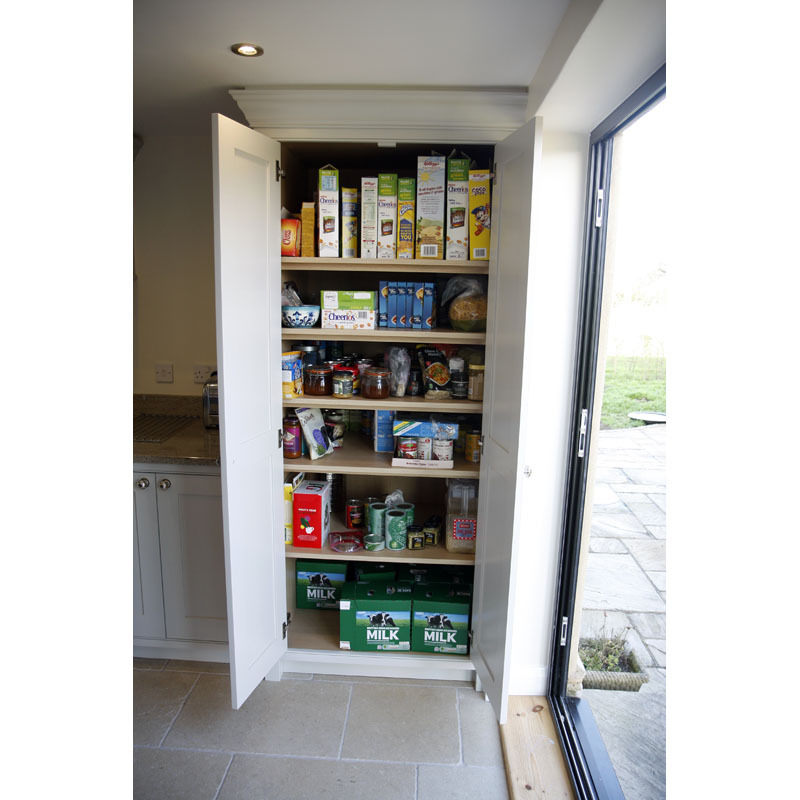 A place for everything in a bespoke Larder Cupboard or Pantry! One of the common problems we hear about all the time is storage, or rather the lack of storage. 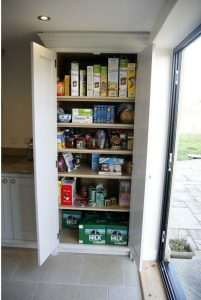 Whether you’re an accomplished chef or just love cooking for family and friends, it’s essential that you have a good selection of ingredients close to hand which can be stored easily and correctly. 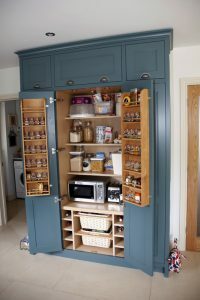 Built-in Pantries or free standing Larder Cupboards create a practical space for all types of ingredients which can be stored on shelves or racks, in baskets or on a cold shelf giving you that choice when you need to whip something up! 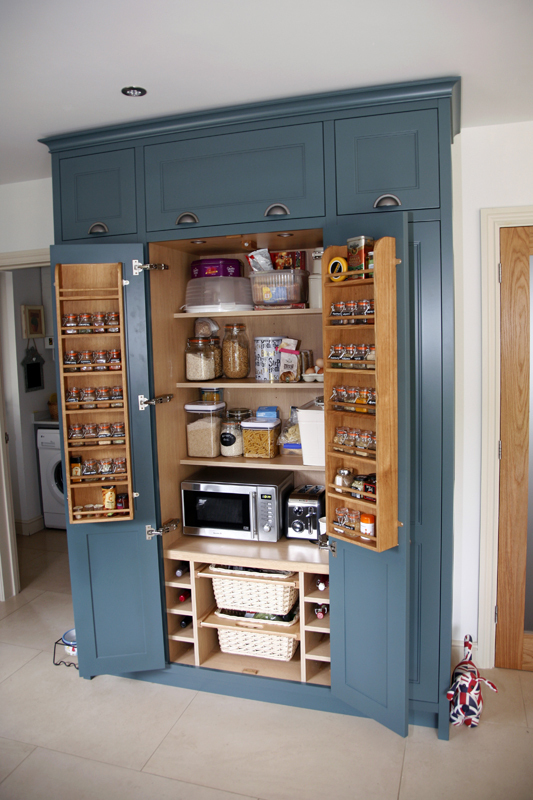 We’ll work with you to design storage to match the way you live and cook. 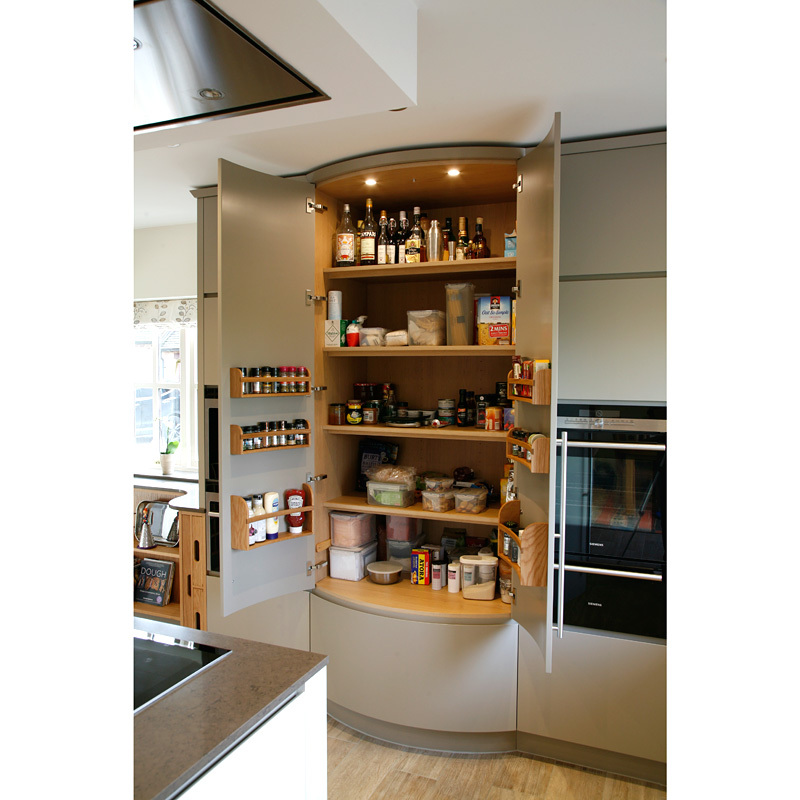 Here are only a few ideas to give you a taster! Wide shelving is perfect for storing appliances like coffee makers and blenders; we can design plug sockets within cabinets to allow appliances to be used in situ which keeps kitchen surfaces free and tidy; cold shelves provide the perfect storage space for those ingredients not intended for the fridge but need to be kept cool; the inside of a Larder door is often an under-utilised space and ideal for oil and spice racks.